This edited volume generates a discussion about UN approaches to peace by studying challenges and opportunities that the organisation is facing in the 21st century. We use some of the findings from the HIPPO report as an inspiration and put both its recommendations and broader UN actions in a wider context. We identify four transformations in the global order and study what implications these have on UN peace operations. The first two transformations emanate from the changing relations between states and reflect the increasingly multipolar character of contemporary global governance. The latter two transformations reflect the changing relations between state and non-state actors. These two broad groups of non-state actors are fundamentally incompatible in their outlook on how and whether the international community should be intervening. That notwithstanding, both groups of non-state actors also force the UN and its member states to rethink the centrality of state-based approaches to security and intervention. 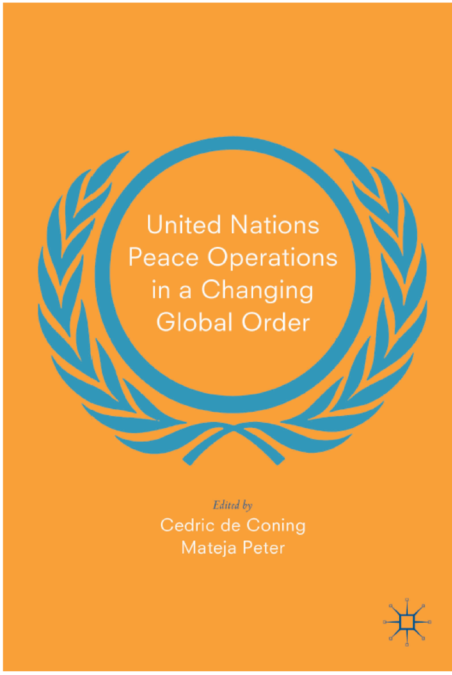 In this volume, we identify four transformations in the global order and study their implications on the United Nations peace operations. We ask: - How is the rebalancing of relations between states of the global North and the global South impacting the UN’s decision-making, financing and ability to design operations that go beyond the minimum common denominator; - How is the rise of regional organisations as providers of peace impacting the primacy of UN peace operations and how and whether the UN can remain relevant in this era of partnership and competition; - How have violent extremism and fundamentalist non-state actors changed the nature of international responses and what does this mean for previously advanced longer-term approaches to conflict resolution; - How are demands from non-state actors for greater emphasis on human security impacting the UN’s credibility, and whether, in light of the first three transformations, is the UN even able to prioritise people-centred approaches over state-centred ones. Our core finding is that with the entry of new actors from the global South as important players in the peace arena, we seem to be entering a more pragmatic era of UN peace operations. As contributions to this volume show, there is a greater willingness to innovate and experiment with new forms of conflict management, including more robust interpretations of UN peacekeeping and an increasing reliance on regional actors as providers of peace. At the same time, the UN is facing a classic struggle between the promotion of liberal international norms and realist security concerns. The resolution of this struggle is less clear. The contributors to this volume emphasise the importance of people-centred approaches, conflict sensitivity and longer-term thinking as key aspects to continued relevance of the UN, but their conclusions as to how achievable these are by the UN are not as clear cut.